DivX Video Converter is an excellent video conversion software, which helps convert DivX video to other video formats, such as convert DivX to DVD, convert DivX to AVI, convert DivX to MPEG, convert DivX to MP4, convert DivX to WMV. DivX Converter is a DivX movie converter and DivX video converter. Besides converting video formats, DivX Converter also provides video editing functions, you can trim video, crop video, merge multiple videos and set video brightness, contrast, saturation. Convert DivX to DVD, AVI, DivX, XviD, WMV, MPEG, H264, MP4, WMA, 3GP etc. Crop settings for removing black bar of DivX movie. One click designing, over 30 preset profiles just load DivX Video and hit start button. On the plane, train or automobile, watch them on your computer,iPod, laptop or pocket pc. On vacation, at work or at school, no matter where you are, no need to take DivX player. Put DivX videos on iPod, iPhone, Apple TV, PSP, Zune, Archos player, PDA and almost all kinds of portable players, mobile phones. With the concise interface and design, users can easily handle the software without any help. New generation encoder provides a brand-new way to convert files which gives you the fastest speed than ever. Select all files you want to convert and DivX Video Converter will automatically convert them one by one . DivX video converter is yet another simple to use program that can convert your DivX/XviD files (as well as some other formats) to a DVD video format which you can use to burn to DVD disc to view using your standalone player. What makes it different than other competitors in the same program category is that it's by far the most simple one (select DivX file, Output Format and click Convert!) as well as the faster one. DivX video converter is a professional and easy-to-use software which can help you to convert DivX to AVI with high quality and fast speed. The UI of this software is quite friendly, the operation of it is very simple, and the functions of it are extremely powerful. 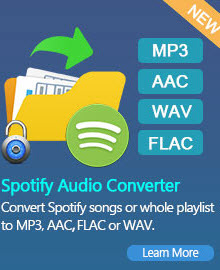 It allows you to extract audio tracks from videos and convert them to the format you need. What’s more, you can also use this software to snap the frame you like of movies in a very simple way – preview the movie and click the snap button when you see the frame you like. DivX video converter is a comprehensive Windows video tool that makes it easy to convert DivX to MPEG, split and join video clips among a variety of major formats as well as many of the operations a user want to do, like extracting the audio and join/split video files. All these packed in a nice and clean user environment. The problem inherent in digital media is that some devices designed to play a large variety of media won't play certain types of media. 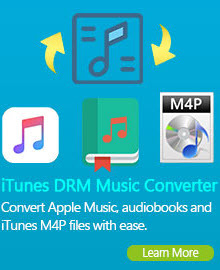 For example, an iPhone or iPod won't play certain file types, like Divx, but will play Mp4 files. DivX Video Converter is a video converter that will convert your Divx files to Mp4, as well as many other formats. It lets you share your masterpieces on iPod, iPhone 3G, Apple TV, PSP, PS3, Xbox, mobile phones. DivX is a brand name of products created by DivX, Inc. (formerly DivXNetworks, Inc.), including the DivX Codec which has become popular due to its ability to compress lengthy video segments into small sizes while maintaining relatively high visual quality. The DivX codec uses lossy MPEG-4 Part 2 compression, also known as MPEG-4 ASP, where quality is balanced against file size for utility. It is one of several codecs commonly associated with "ripping", whereby audio and video multimedia are transferred to a hard disk and transcoded. Many newer "DivX Certified" DVD players are able to play DivX encoded movies, although the Qpel and global motion compensation features are often omitted to reduce processing requirements. They are also excluded from the base DivX encoding profiles for compatibility reasons.